The Baggagetrain is a small operation run by Steven Oates who makes building suitable for my Caesars Gallic War. And I must say I am extremely impressed with these buildings and will we most definitely getting a lot more. 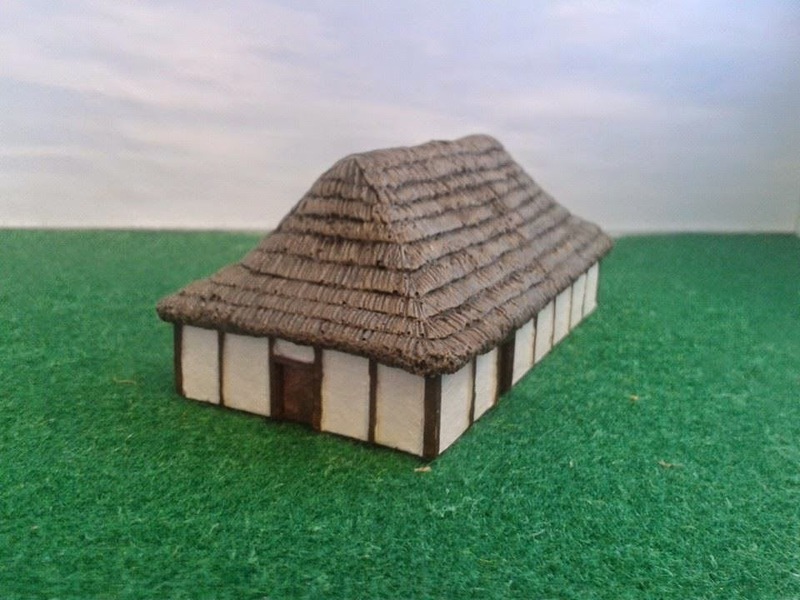 10mm Sub Roman Great Hall, this model is approximately 100mm long and 50mm wide. It is a timber and daub building with a thatched roof. This model can be used throughout the Late Roman to early medieval period. 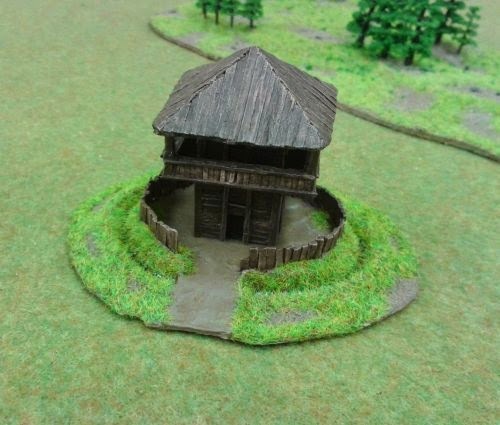 10mm Roman outpost, It comes in four parts and is made from a high quality resin. It needs to be assembled so basic modeling skills are required. 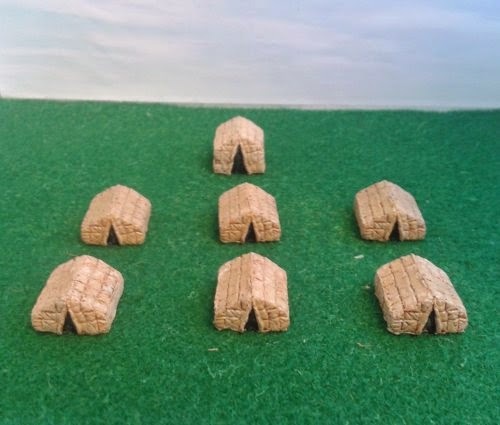 10mm Roman/Sub Roman/Saxon/Viking building to create a small village, the models are of a timber and daub with a thatched roof. 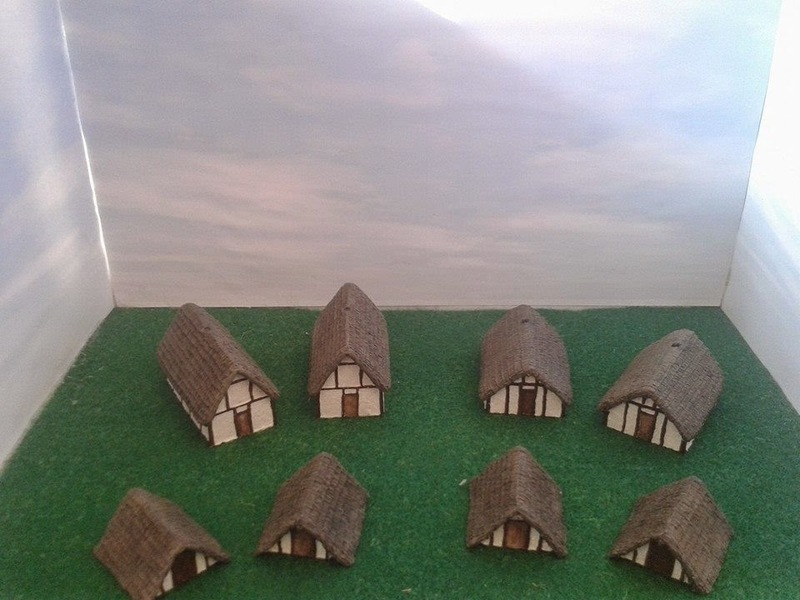 These model can be used throughout the Late Roman, Saxon/viking to early medieval period.